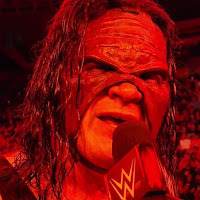 - Below, Cathy Kelley recapped Kane (Glenn Jacobs) becoming Mayor of Knox County, Tennessee and showed some reactions from other WWE Stars. Jacobs pulled in 66.56% of the vote. Early and absentee voting showed Jacobs leading over Democrat Linda Haney by a 2-1 margin. When all was said and done 22,595 citizens casted their vote for Kane. - According to WrestlingDVDNetwork.com, WWE will be coming out with a WWE 24: The Best of 2018 - Director's Cut that will featured the WWE 24 documentaries that have been streaming on the WWE Network. The DVD is expected to include: WrestleMania Orlando, Empowered, RAW 25, and The Hardys: Woken and is scheduled to release in December. - For Father's Day, The Undertaker received a gun safe from his wife, Michelle McCool. Taker posted a photo of it (with one of his guns) and thanked the makers "for building a safe for all my 2a toys to Rest In Peace in!" For clarification, "2a" refers to the second amendment of the US Constitution, or, the right to keep and bear arms.